What is an action plan? An action plan is defined as a detailed plan of the actions that one must take in order to reach goals and objectives in order to be successful at something. The plan mostly includes a sequential step-by-step instruction on what must be done and how things should be done. 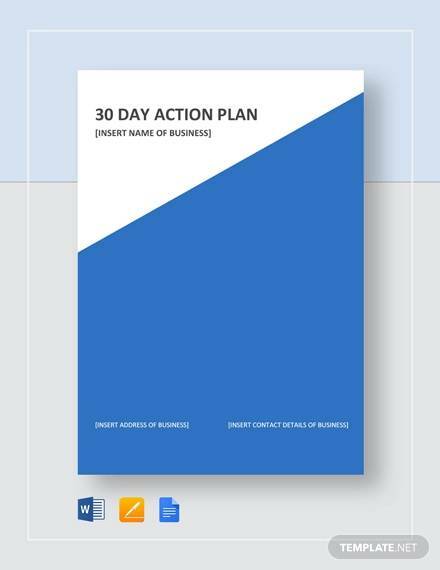 Action plans come in different varieties and formats depending on certain factors, like its purpose or on what it is intended for, the entity using it or the number of days ti which the plan should be used. 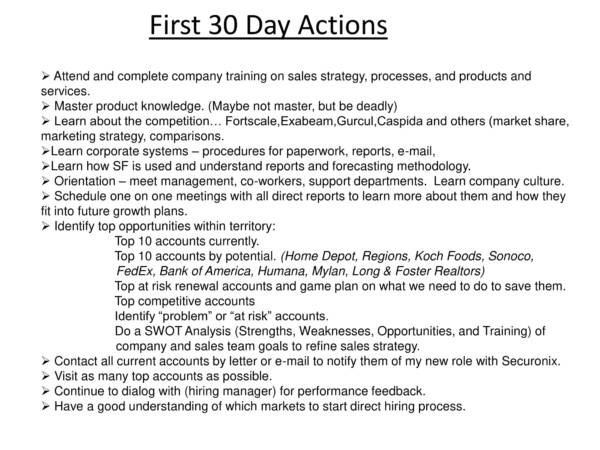 An example is a 30-60-90 day action plan which is used by newly hired employees to help them with their new jobs. Let us get to know more about this useful plan by checking out some of the useful details we have below. 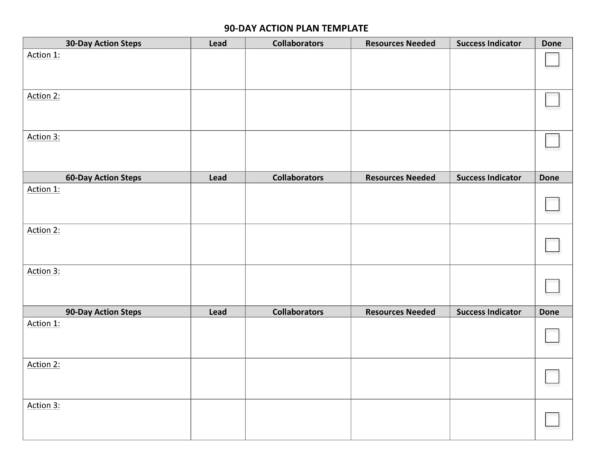 Action plan templates are also included for your reference. 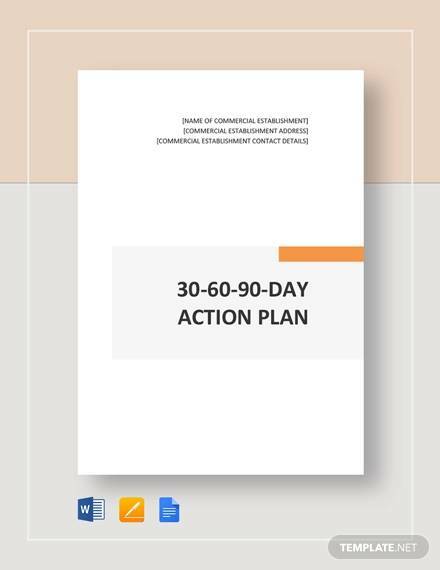 What Is a 30-60-90 Day Action Plan? Perhaps the hardest part of one’s employment is during the first few months of being a new hire. The adjustment period is always tough for all new hires, not just because you are new to the job but because of the new environment and new things around you. 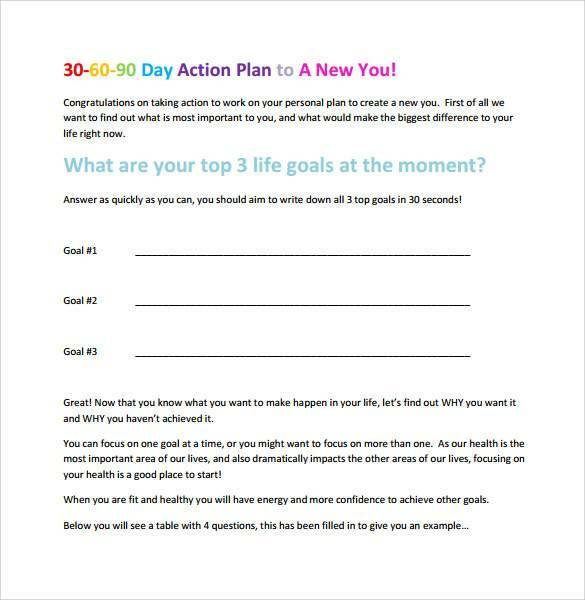 So as not to get overwhelmed by the newness of everything, it is important to lay out a 30-60-90 day action plan. 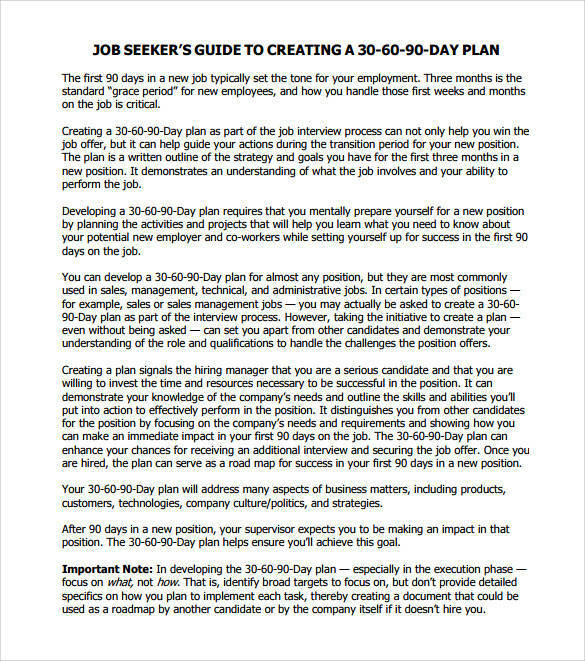 A 30-60-90 day action plan is a plan that helps new employees to lay out a clear course of action that they must take to be successful with their new endeavor. This way their transition to their new organization’s environment will become smooth and empowering. 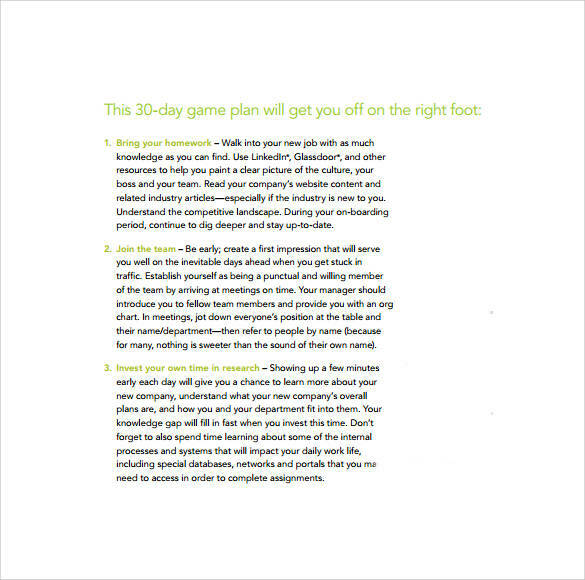 There are likely 2 situations wherein you will need to make a 30-60-90 day action plan. One is during the final stages of your entire interview process and the other is during the first few weeks of your employment. 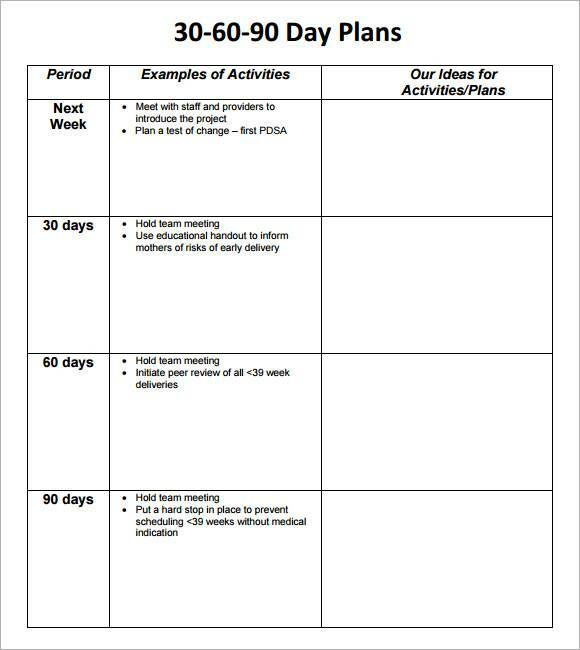 Writing a 30-60-90 day action plan is also a good way for employees to help themselves even if they are not asked to create one. Other related articles you may be interested in are Sample Employee Action Plan Templates, Management Action Plan Templates, and Marketing Action Plan Templates. 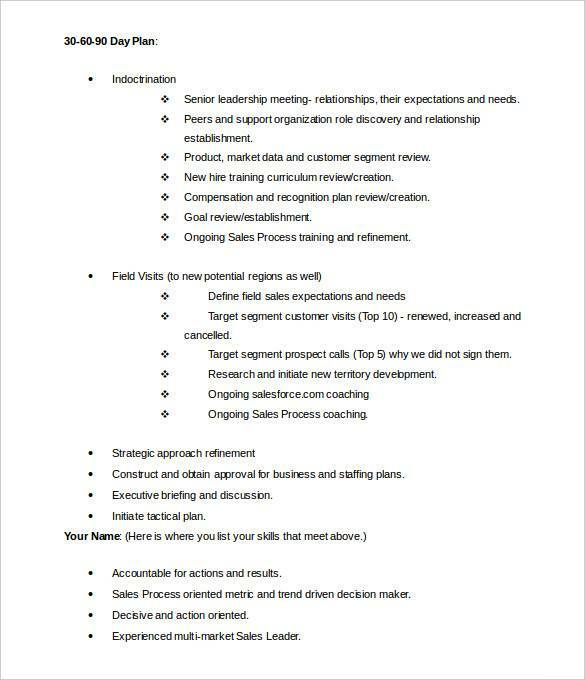 Why do you think most interviewers and managers require applicants or employees to write a 30-60-90 day action plan? 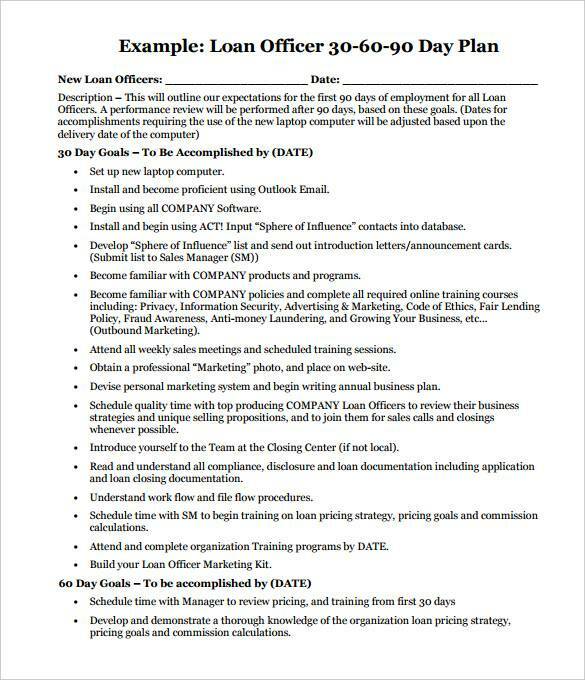 There are actually a number of uses of a 30-60-90 day action plan that you should know of. And to help you learn about them we have made a list of them below. Organization of time – When you are asked by a hiring manager to write your potential 30-60-90 day action plan, they want to know how you organize your time at work. This is done as part of their assessment. Task prioritization – Prioritizing tasks is not an easy feat that why it is important for mangers to know if their applicants or employees are able to prioritize their tasks well. 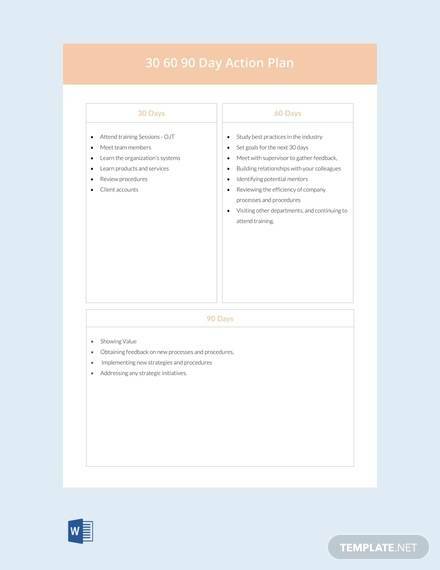 Using a a 30-60-90 day action plan helps an individual not only in effectively prioritizing their tasks, but also in practicing the skill. Role visualization – The action plan you are asked to create will be used by the hiring manager to visualize you in that specific role you are applying for. This also helps them spot the differences or differentiate you from the rest of the other candidates for the job. 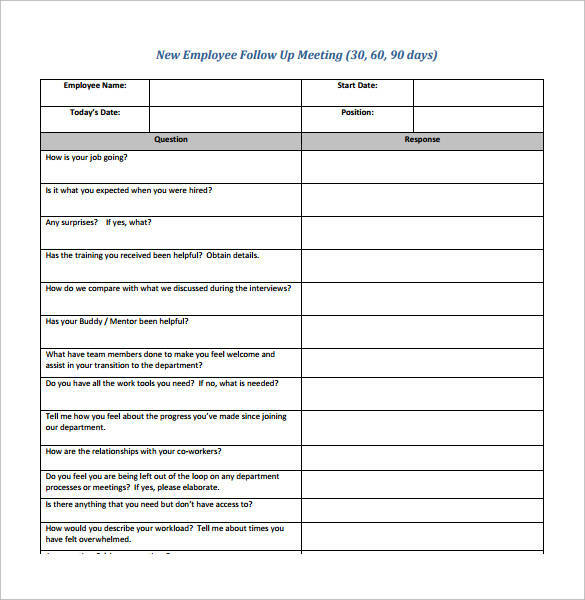 Determine working style – Newly hired employees are also asked to create a 30-60-90 day action plan so that your hiring manager will be able to determine your working style or how you operate at work. This way they can answer your concerns and help you succeed with the job. 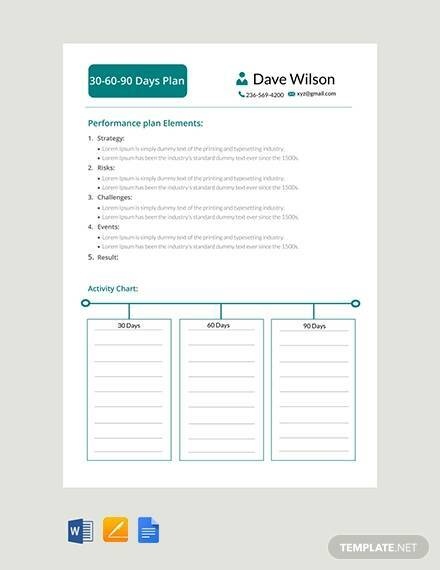 Self-improvement – Even if you are not asked by any manger to write a 30-60-90 day action plan, you can still write one to help you improve in with what you do at work. The action plan will help you organize your time and prioritize your tasks which are great strategies to perform well and cope with your new job. Role transition and guide – Transitioning to your new job will not be successful unless you are able to cope with your new environment and new tasks to perform. 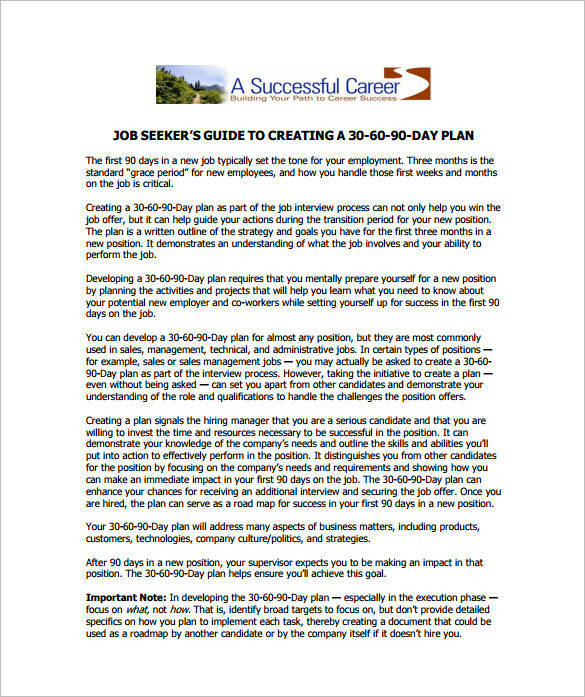 A 30-60-90 day action plan will help you create a guide so that you will have a smooth and successful transition to your new role. Improvement of skills – You can focus on working on the skills that you lack or not good at with the use of a 30-60-90 day action plan. This is because you can incorporate a skills improvement plan that will allow you to master a specific skill while doing the usual tasks you have at work. 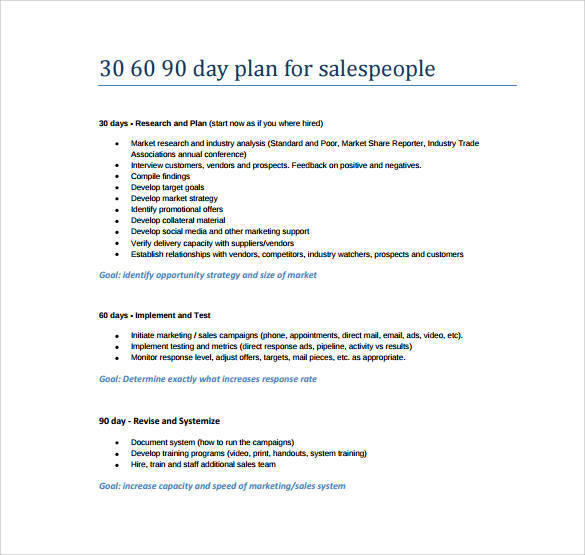 You can get the best out of using a 30-60-90 day action plan by simply knowing what it is used for. If you know its uses, you can easily take advantage of the benefits that it has to offer for you. 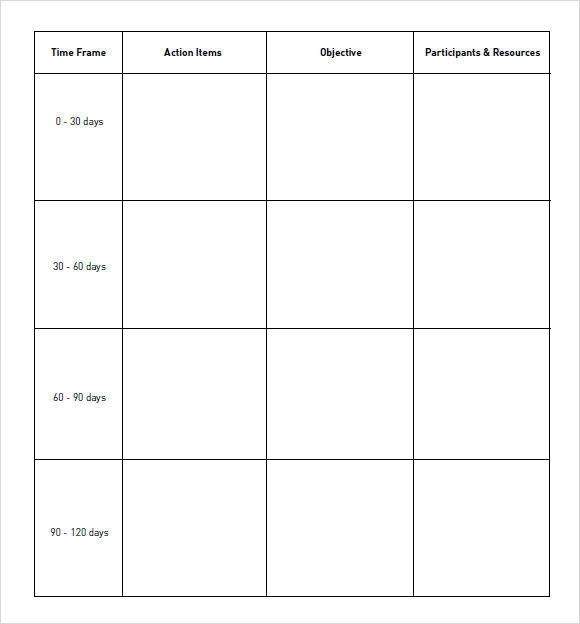 You may also want to check out other articles about action plans, like Project Action Plan Templates, Incident Action Plan Templates, and Sample Affirmative Action Plan Templates. 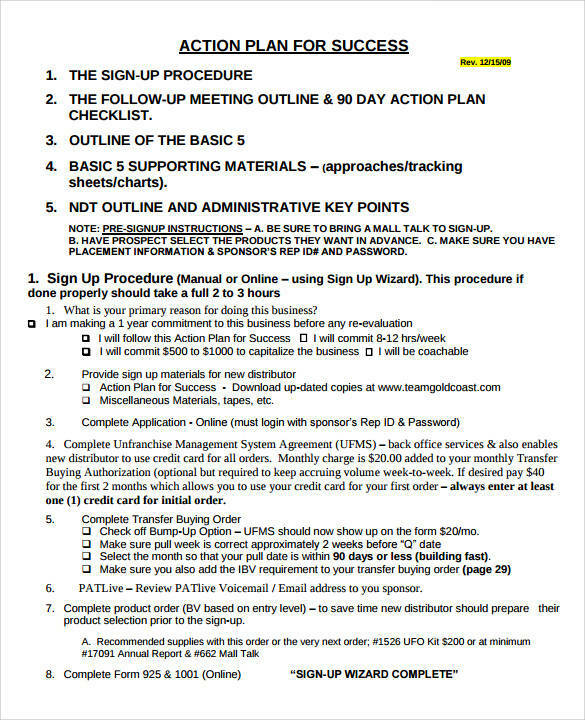 What Are the Steps in an Action Plan? For you to actually create an effective and useful action plan, there are some steps that you must follow. These steps serve as your guide to make process easy and convenient. Step #1: Identification of tasks or problems. The very first thing that you must do when creating an action plan is to determine the tasks or the problems involved in it. Why? It is because you need an action plan to solve a problem or to carry out certain tasks. Without first identifying the problem, you will aimlessly work on something without any direction, purpose or meaning. Which means the problem may or may not be resolved and that is just an utter waste of time and resources. Now that you are aware of the problem or tasks that you need to focus on, it is time to gather the necessary and related data. After collecting the data you can work on analyzing it and then have it properly delegated. Analyzing data ensures that you only include those that are meaningful and useful toward your goal. Determining which tasks should be the priority in your action plan greatly helps in the success of carrying out the entire plan. If important tasks are done first, the entire plan will be carried out smoothly, and effectively. There will be an organized process as there won’t be a need to stop doing this task to give way to another more important task. Prioritization skills is very important in this step. SMART is a popular acronym that stands for specific, measurable, attainable, relevant and timely. This acronym is used to efficiently and effectively create a goal statement for the action plan. Considering all five components in your action plan allows you to create a goal statement that is doable and beneficial to all. It also helps find the appropriate solution to specified or determined problems. What must you implement? Problem identification is part of the steps in creating an action plan. The implementation part is where you put into action or apply the plan or the solution to the identified problem. Here, the plan that has been created from the earlier steps will be carried out as it should be. You don’t stop at the implementation of the action plan though. How will you know that it is effective? The final step in an action plan is the monitoring and evaluation part. Here, the effectiveness of the plan is assessed and evaluated against a certain criteria or set standards. The criteria or standard could be from the entity’s preferences or it could be generally or universally used standards. If after the evaluation the plan created turned out to be ineffective, the plan must be revised and the process goes back to the first step. Creating an action plan is like an endless cycle, it continues to get revisions and changes for improvements and get better results. 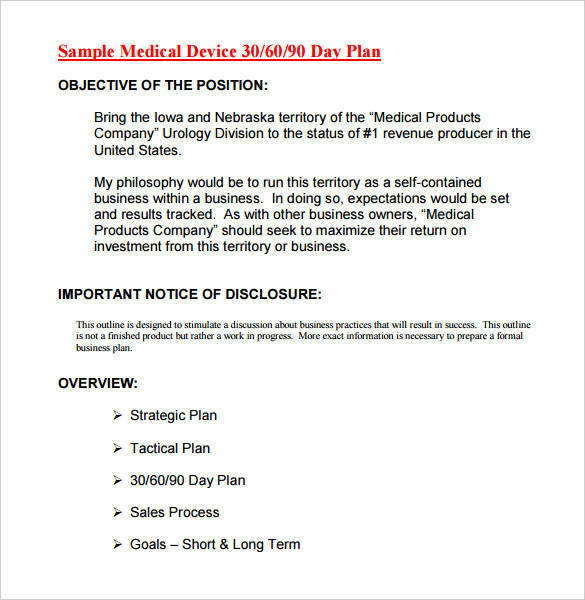 Get more action plan samples and templates, as well as other related topics on our website. The titles we offer are Sample Emergency Action Plan Templates and Corrective Action Plan Templates. What things must you do to write and use an effective action plan? The tips that we have prepared and listed below, will definitely help you! Have a clear purpose, vision or goal in mind. Your action plan should be able to take you from where you currently are directly where you planned to be. Having a clear sense of direction, purpose and goal in mind is the key to an effective action plan. Manage your time. Every time you make an action plan, always take into consideration the time you have available. This way you will be able to manage your time effectively and carry out the plan smoothly. Be specific and realistic. The tasks or activities included in your action plan should be specific and realistic so that they can be done exactly as expected. If the tasks are realistic, that means that they are doable and there is nothing more important than that. Break large tasks into smaller tasks. The best way to manage large tasks is breaking them into smaller more manageable tasks. If you do this with your action plan, you will surely be able to get everything done easily. Make sure that your plan is measurable and attainable. This is another way of ensuring that your action plan is doable and not just a plan on paper. Since you will need to have the plan evaluated, it is fitting to have it measurable so that you can get clear evaluation results. Schedule your tasks. An action plan is made up of a lot of task so it is important that have these tasks scheduled to ensure that they all get done and that they get done on time. Keep everything recorded. Whatever plans you have for your action plan, always keep in mind to record them. Recorded tasks and activities can be easily retrieved and used as reference if you forget about them. This way you won’t be missing on any important tasks on your action plan. Remember these tips and you are sure to make an effective action plan. 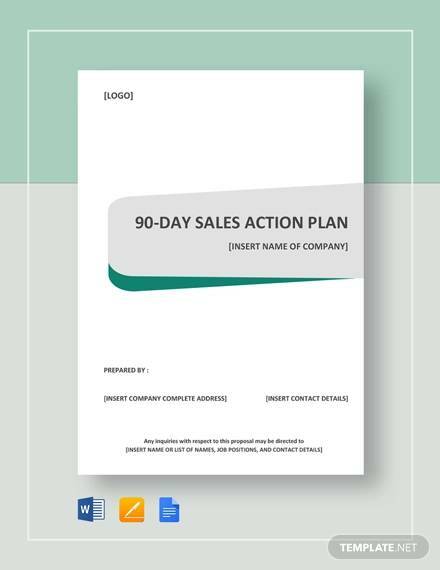 Other related articles you may be interested in are Action Plan for Increasing Sales, Sample Asthma Action Plan, and Sample Business Action Plans.